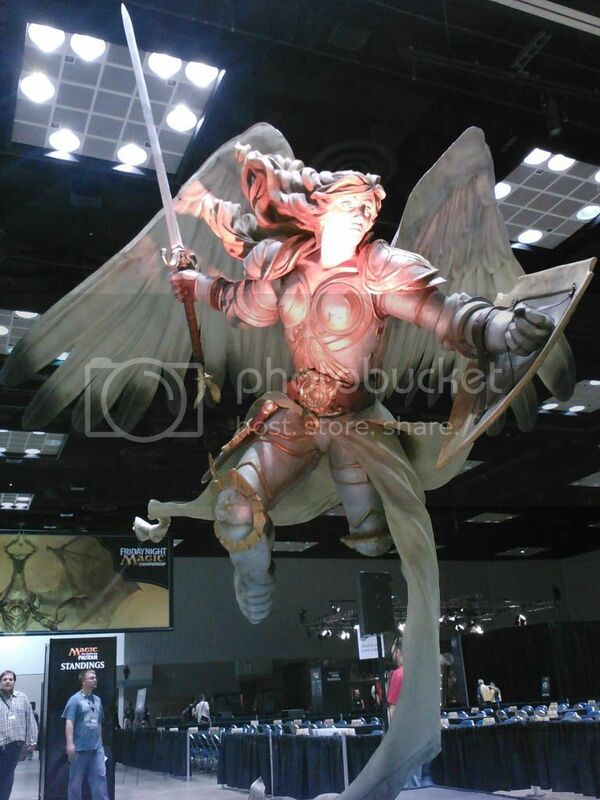 Gencon has one again come and gone. Some games were played and some lessons were learned, and a good time was had by most. Here's a break down of my personal experiences. 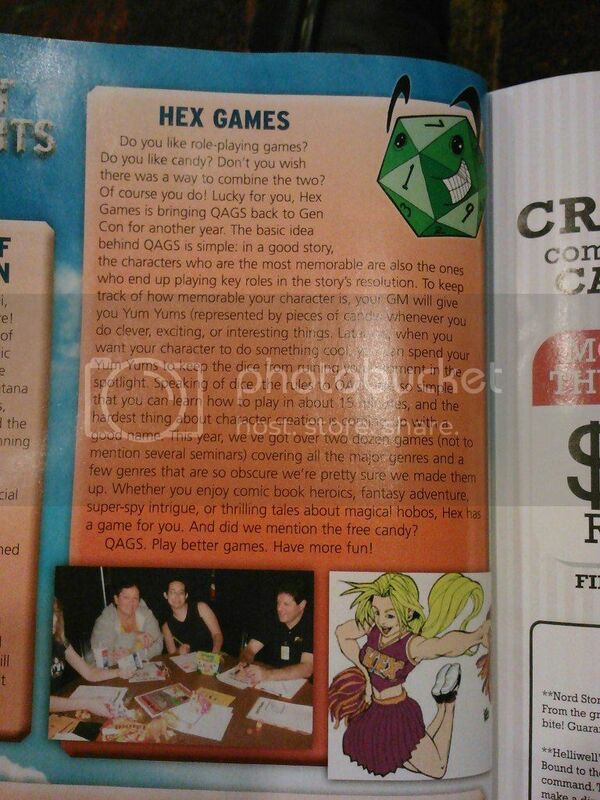 It doesn't touch on other people's games, I'm afraid, but Hex Games ran over 20 games and six seminars this year. Quite a busy and successful Gencon! I smartly took the day before my first day at Gencon off, so I'd be well-rested. What a novel idea. Sadly, the day before Gencon is much like the night before Christmas, so I didn't get any sleep Tuesday night/Wendesday morning. Undaunted, I spent the morning and afternoon packing and finishing last minute preparations. I eventually left Toledo in Dory (The Little Buick that Shouldn't) at 5pm, expecting to get to Indianapolis at about 10pm. Fatigue suddenly hit me near Lima, but with the aid of a 15-minute snooze, a Vivarin pill, and an all-80s radio station, I was quickly back up to speed. I tooled into the Airport Ramada at 10ish and waited for Ian to get back from his first day at Gencon while watching Cartoon Network and putting the last details on my Hobomancer game. 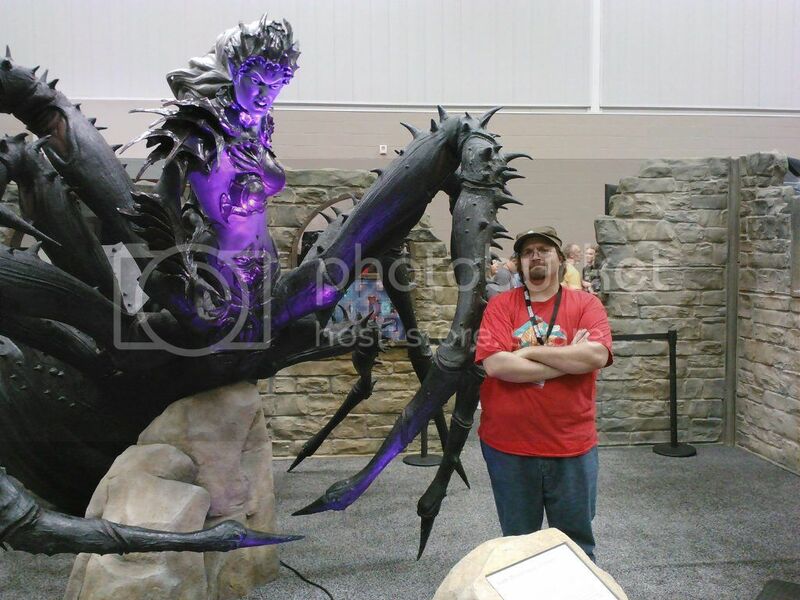 My first day at Gencon 2012! My kung-fu fantasy/cartoon bugs mash-up game for QAGS. I only had three players, but they were all fans of the wuxia genre and cartoon bugs in general, so they “got” the adventure perfectly. The adventure ran smoothly—a princess was delivered, the Scorpion Devil was thwarted (for now), and the Bandit King was humiliated. The Kung-Fu rules I came up with need a little more play-testing, but I look forward to developing this setting further. My first game wasn't until 2pm, so I had some time to kill. I decided to go down to the Dealers' Room, unaware that I'd be getting there right as it opens. I quickly gave up my plans on an organized browse, and instead I just drifted with the crowd like plankton in the currents of the sea. This worked out okay, and I wound up talking to the good folks at Indie Press Revolution and Oni Comics, making some valuable connections. Also I bought some games and comics. Before I spent too much cash, I made sure that I got gifts for my wife and son, since I am, after all, a wonderful father and husband. Later that evening, I went to The Ram to meet with a group of Kickstarter backers for Mike Nystul's Axes & Anvils rpg. Unfortunately, we never decided to all wear a white carnation, or dwarf hat, or anything else that would identify ourselves to each other. It takes a bit (and Mike is late) but we eventually all found each other, and, after waiting an hour to get in, had a lovely meal and discussed Mike's new game. To sum up, Axes & Anvils is a game I want to play NOW, and Omnipotent Ale is the best thing ever brewed. Also, I left my hat at the Ram. I eventually got it back, but this was the first in what would become a series of forgetful mishaps. Steve and Richard arrived in Indianapolis shortly after Ian and I returned to the Ramada. My busiest day at the con! Lots of Hex Gamers have run Justice Band games, but this was my first time. I had a few return players, and aside from a couple of players choosing to play characters I had intedned to use as villains, the game went incredibly smoothly and was a lot of fun. The PC cast included Gene Simmons (Gimmick: Prehensile Tongue), Ted Nugent (Gimmick: Trick Archer), Geddy Lee (Gimmick: Summon Owls; Weakness: Canadian), Kieth Richards (Gimmick: Immortal; Weakness: Occasionally Dead), and Glen Danzig (Gimmick/Weakness: Werewolf). These were seminars I sat in on as a panelist. Hex's seminars didn't attract a lot of people this year. This is probably because our seminars were located in the Crowne Plaza way on the outskirts of the con. Also, we've done these subjects quite a few times and it's probably time to think of some new subjects. My goal with this Hobomancer game was to prove that Hobomancer is not a comedy game and is capable of real horror. The plot revolved around a series of child murders and I stole a lot of elements from Hellraiser. I had an awesome group of players and the game went geat, even if I had to leave about half of what I wrote on the cutting room floor. Strategic use of nursery rhymes to flush out Boogeymen! Yes! This was my busiest day of the con. I had back-to-back events from 10am to 8pm. I was supposed to go play in the Indie Games on Demand room (bought tickets and everything), but Hobomancer ran long and I was exhausted, so I missed it but wasn't too upset about it. Leighton arrived in Indianapolis that night while Steve, Richard, and I were playing the new Smash-Up card game. We woke up Ian, who was trying to sleep. Sorry Ian. Sleep deprivation begins to wear on Josh's psyche. American Magic; Hobos, the New Pirates? Two more panels, again in the Crowne Plaza. We've done these panels before and we had the patter down pretty good. It's probably the last year for both of these. This was my light day. I ran no events, and only sat in as a co-panelist on the seminars. That morning Aaron Huss of the Roleplayers Chronicle interviewed me. I talked with him a good deal about QAGS, and Hobomancer in particular. Even though it was three days into the con and I was a bit loopy, I don't think I embarrassed myself of the company. I was, however, late for the interview, as I had to run back to the hotel (thanks, Richard!) and get ym badge, which I had left on a table. I also left my hat (oh that hat) in the press room with Aaron. The downward spiral of forgetful hijinx continued. I did some more shopping and bought abunch of miniatures for cheap to use in Ben Balestra's Pathfinder campaign. Sadly, I lost this sack of minis somewhere between the dealer's room and coming home Sunday. I have no idea what happened to them. Friday night was the most important even for Hex--”Hex Games has Dinner with People we Like at the Ram.” Hex Knome and friend Mark Kuszek was there, as was Andy Davis of Crafty Games who totally sold me on their new crime-empire game, whose name I forget right now. I did not forget my hat this time. Also, peanut butter and bacon on a burger isn't too bad. That night I made it to Indie Games on Demand (ticket!) and played Dungeon World for two hours. I'm a big fan of Apocalypse World and was not disappointed by the dungeon fantasy hack for it. IGoD games are only set for two hour slots, and we spent most of that time fighting a dracolich and falling up and down bottomless pits. Still, I had a blast and look forward to buying the actual game. Last day at the Gencon. Again, two seminars we have done numerous times in the past. The Sword & Sorcery one was decently attended and the audience interaction was great. I skipped out on the Unconventional Characters panel so I could go give Oni Games a copy of Leopard Women of Venus. If there's one thing you could take away from the Hex Games seminar, it's that Hex Games loves the Gray Mouser and Fafhrd, and we love Grant Morrison. We brought them both up a lot. This was my QAGS game featuring Golden Age, public domain superheroes coming out of retirement to stop the return of an angry Stardust the Super Wizard. It was basically World War Hulk with weird characters from the 40s and 30s. Leighton got to play as The Music Master and did a wonderful job playing up the “Arrogant Jerk” Weakness. Other players chose Silver Streak, Sub-Zero, Daredevil (the original, not that fly-by-night blind guy), Black Terror, and The Clock. I knew this game would live or die by how creative the players were, and I was not disappointed. The players were great. They picked up the Golden Age tropes very quickly, and we even got a happy ending for Stardust and the world! A damn fine way to end Gencon! The Stardust game started late because I left my game notes in the car and had to run back to get them. Thankfully Leighton took that time to educate the other players on the cosmic horror that is Stardust the Super Wizard. After we left Gencon for good, we had a wonderful Mexican dinner at Sol del Tala, a delightful restaurant some distance away from the convention center. We got some Hex Games business banged out, and Richard and I brainstormed some ideas for a Hobomancer card game. After dinner we parted ways. 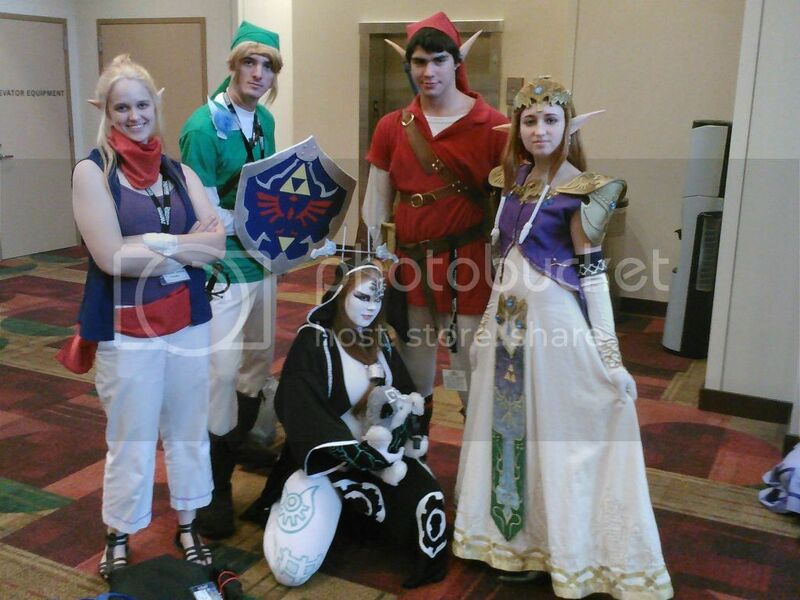 This was only my second actual Gencon, and it was better than the last, despite my steadily degrading mental state. When I got home I slept for 15 hours and felt worlds better for it. Back to civilian life. It's always great to see my friends from and around Hex Games. It's a pity I don't get to see them more often. Still, I came home creatively recharged with a bunch of new ideas buzzing in my head. I can't wait to see them again in October for Archon! Gencon is huge, so it can be a bit overwhelming. It's a lot easier if you're not actually running a ton of events. It's been a long time since I went to a con just as a participant. I kind of miss it.